Simple search log monitoring – any simple search can be saved as a monitor. Complex search log monitoring – complex searches include sophisticated conditions based on mathematical operations and timing. Machine learning log monitoring – XpoLog’s AI analytics lets you define monitors for insights automatically generated by XpoLog’s smart engine. 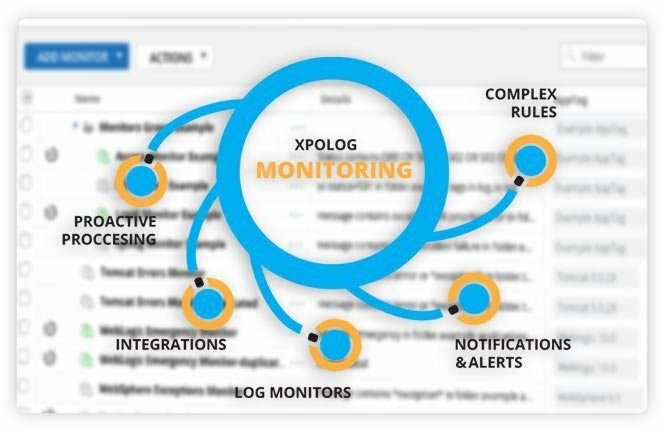 XpoLog monitors log data and sends alerts according to defined, scheduled and filtered rules. XpoLog monitors application logs, event logs, service logs, cloud, security log data, IOT, access logs and system logs for any infrastructure or application. 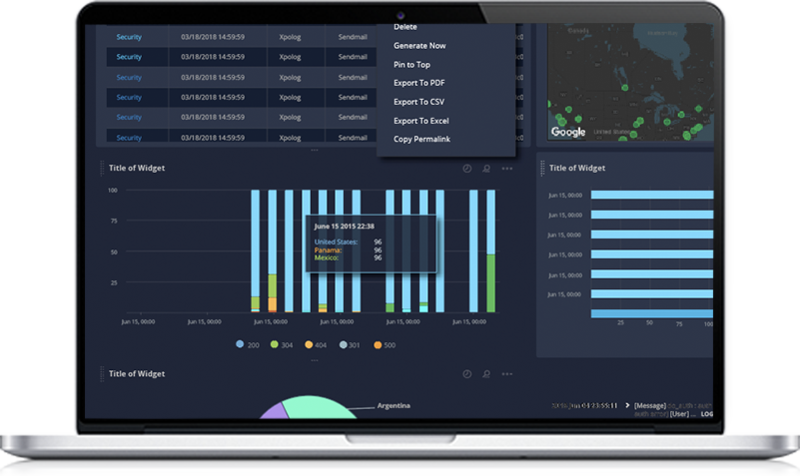 XpoLog uses a proactive engine to scan all incoming/existing log data. XpoLog identifies log & server errors, risks, exceptions, patterns, anomalies, and trends without any pre-knowledge. XpoLog finds unknown errors while searching for known errors, as well. Create monitors for auto-discovered-problems in a click. Use XpoLog’s predefined monitors which automatically run on specified logs at the scheduled times. XpoLog’s monitoring engine searches the logs for events which match defined rules. XpoLog also allows you to easily monitor log data, setting monitors directly from our apps! 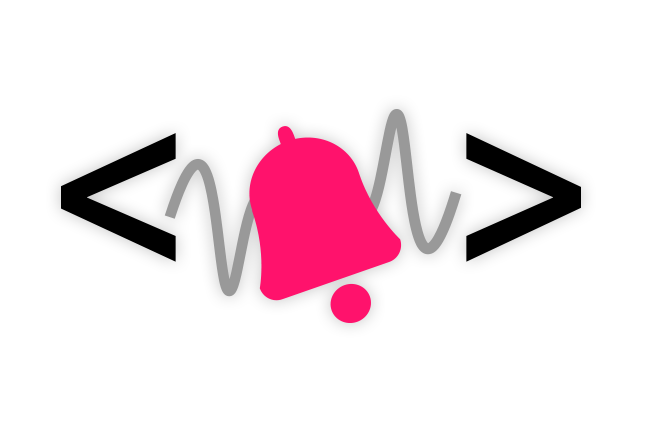 Create rules to monitor specific/any/all logs in the system and get notified with alerts. Define monitors to add the matching log events with the detected errors to the relevant alert. Create a complex monitoring mechanism by creating multiple monitors to be executed together and report on failures in your logs. Create your own rules to monitor any or all log(s) in the system. Go deeper than just finding a string or error. Use complex monitoring rules to specify your search query. 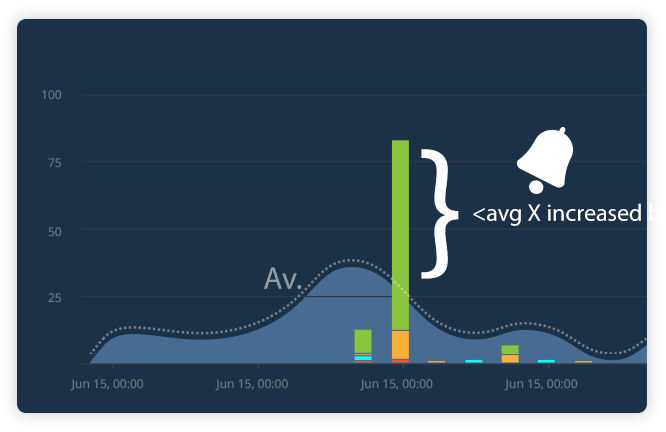 Set an alert if there is a field avg X increased by a factor of Y, in a given time frame, across specific servers. 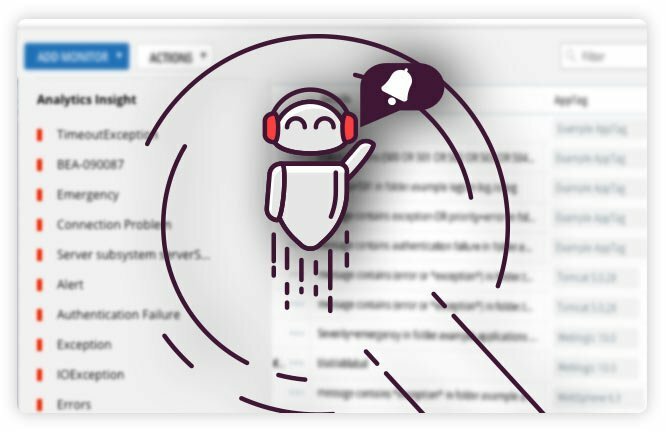 Request alerts if a certain type of event appears over X times within a certain time frame. XpoLog’s alerting and notification mechanism can be used for external monitoring, control or systems management consoles. 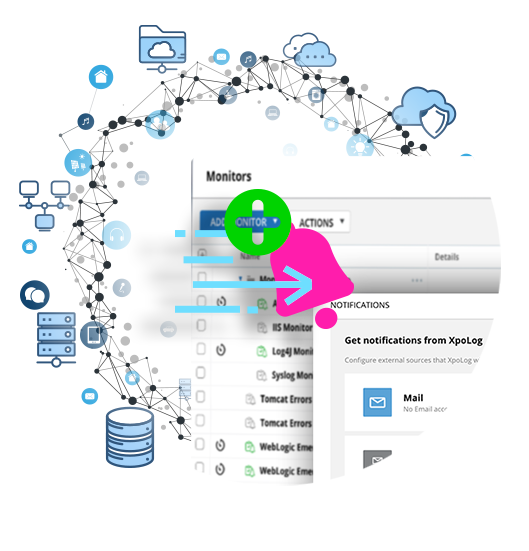 XpoLog supports multiple types of alerting such as emails, SNMP, scripts execution, REST API calls, or via Webhooks to Slack or PagerDuty. Make sure your log data is monitored in real time and desired events/incidents are published to the correct place for handling. Proactive log monitoring – monitor auto-discovered problems. Monitor specific/any/all logs in the system, get alerts.